An “accuser” who cannot remember key facts about her alleged attack and refuses to testify when invited by the Senate. Doesn’t sound very credible, does she? 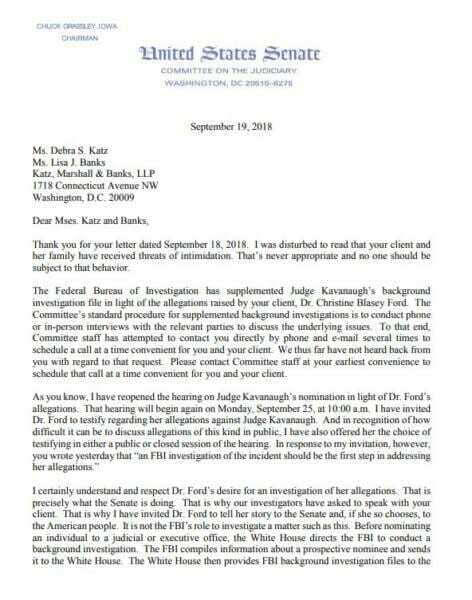 Also, in a letter to Ford’s attorney Grassley said that an FBI investigation is unnecessary and that the Senate doesn’t even have the power to authorize the investigation. “You have stated repeatedly that Dr. Ford wants to tell her story. 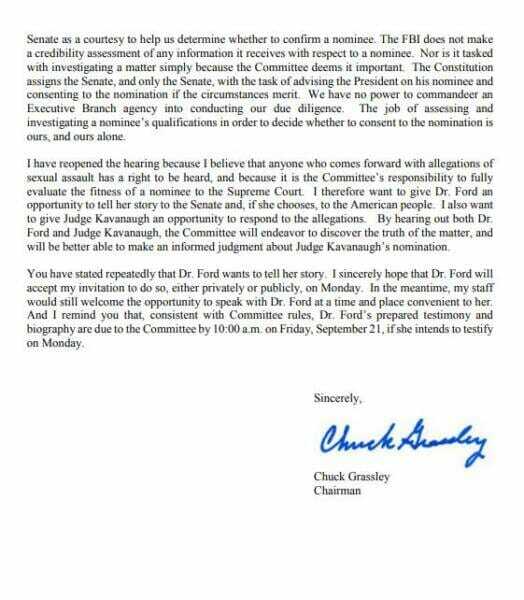 I sincerely hope that Dr. Ford will accept my invitation to do so, either privately or publicly, on Monday. In the meantime, my staff would still welcome the opportunity to speak with Dr. Ford at a time and place convenient to her,” said Grassley. When you’ve been offered the opportunity to tell your story & you turn it down the authorities can’t do anything. Especially if you offer no collaborating evidence. 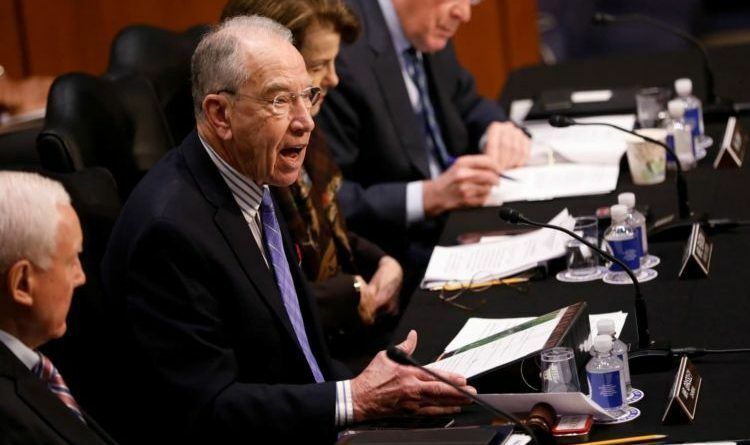 Luckily Sen. Chuck Grassley is not taking any nonsense from Ford or her attorney. Well done! His letter is concise, clear and to the point. He is absolutely right, Democrats are behind this to stall the vote. He should read it at a press conference so the low information voters have a chance at understanding how nominees are vetted and confirmed. Senator Dianne Feinstein should have done this the correct way and we will not be here where we are today!! It’s on her!! ← Feinstein Admits She Can’t Say Everything Is Truthful About Christine Ford’s Allegations Against Kavanaugh!